Wismec Reuleaux RX2 Kit is a new vaping TC kit designed by JayBo. Kit includes RX2 box mod for 20700/18650 batteries and a Gnome sub ohm tank. 3 colors are available. 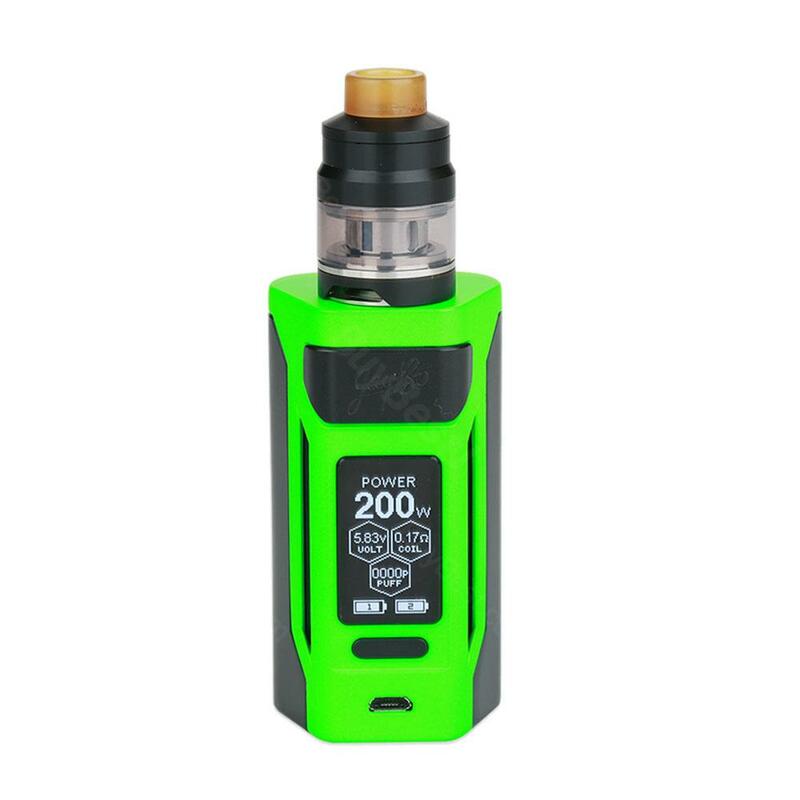 The Reuleaux RX2 Kit is a new vaping creation by Wismec and JayBo, it consists of 200W powerful dual 20700/18650 batteries mod and a Gnome atomizer with 2ml/4ml e-juice capacity. Reuleaux RX2 box mod designed for the 20700 cells to provide vapers with bigger battery capacity, yet it is still compatible with 18650 batteries by using the adapter piece. Box mod is equipped with the large and clear 1.3 inch display and easy to navigate interface. Box mod supports VW/TC/TCR modes and 2A fast charging function. Kit includes the GNOME sub ohm atomizer with all new flavor optimized WM series coils on board. Atomizer features 2ml/4ml tank capacity and slider top cap design for convenient refilling. Wismec Reuleaux RX2 kit will provide you with long and tasty vaping experience. • It doesn't come with liquids or 20770/18650 Battery, you shall buy them separately. • You can buy RX2 20700 MOD, GNOME Tank and replacement WM coils/ WM RBA Head/ WM RBA Kit. • There are 2ml and 4ml versions for your selection. 2ml Version includes a silicone plug, while 4ml Version do not include the silicone plug. Without the silicone plug, the tank capacity could be extended from 2ml to 4ml. Excellent quality, big screen,good looking, I recommend. I purchased WISMEC Reuleaux RX2 Kit for summer traveling and it is everything I hoped for. No leaks and no burns. The product is authentic. Lovely kit,fantastic price with free delivery,can't ask for more.i love buybest. WISMEC Reuleaux ist wirklich ein absolut stylisches Teil. Sehr hochwertige Verarbeitung mit viel chic. Das Produkt war sehr gut verpackt.